For Factory HID Xenon Lighting. Genuine product - each box has the hologram label and authenticity scan code- Made in Germany. 9008(H13) Crystal Vision Ultra 2. Ordering Code(s). Manufacturer Product Code. Product Specifications. (0.000 mm). Ordering Code(s). Manufacturer Product Code. Product Specifications. (0.000 mm). Item 131942198550 - 9012 LL HIR2 HIR PX22d. International Order - All countries. Item 131505488763 - 7443 T20 Maxi Wedge W3x16q. Item 131505488745 - 7440 T20 Maxi Wedge W3x16d. Item 132221249073 - 3057 T25 Wedge Base W2.5x16q. 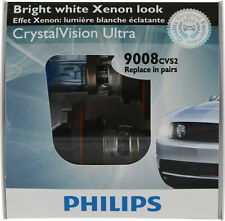 Crystal Vision Ultra 12V 9008 (60/55w). Inspect all goods upon receipt and notify us within. Actual Images of item are shown above, unless otherwise stated. Fits xenon / hid headlights of The bulb is slightly chipped at the top, this will not affect the functionality of the bulb in any way. S60 (up to 03/2009). Range Rover. SLK250, SLK350, SLK55. SL350, SL500, SL550, SL600, SL63, SL65. Give your car the ultra white HID/LED look! 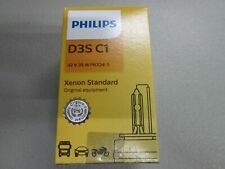 Replaces Osram D3S bulbs. 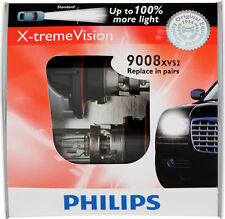 Will fit xenon (HID) headlights of Unsure if it will fit your car?. and many others not listed here! 2014-2017 Volvo XC60. 2011-2017 Volvo S60 / V60. 2011-2013 Volvo C70. 2011-2014 Volvo C30. Item 141659426360 - 3157 T25 Wedge Base W2.5x16q. If you DO NOT see your vehicle in the Compatibility list, the bulb(s) will also fit ! We have the website links below ! Sylvania Automotive - Bulb Lookup Guide. Replace Osram D3S bulbs. Will fit xenon (HID) headlights of and many other years and models not listed here! 2014-2017 Volvo XC60. 2011-2017 Volvo S60 / V60. 2011-2013 Volvo C70. 2011-2014 Volvo C30. Fits xenon / hid headlights of and many others. 2014-2017 Volvo XC60. 2011-2017 Volvo S60, V60. 2011-2013 Volvo C70. 2011-2014 Volvo C30. 2011-2017 Volkswagen Touareg. 2012-2017 Volkswagen Tiguan. Item 161715793821 - D3S PK32d-5. 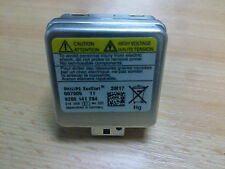 Kelvin (Color) - 4300K (White-Yellowish OEM HID Color). No Modification. Plug and Play. We have all kinds of automotive lighting products such as HID bulb, HID Kit, Halogen bulb, LED bulb, LED Kit, Wiring Harness. Alla Lighting ---(Set of 2) 1800 lumens per LED Bulb, total 3600 lumens for bot LED bulbs; equipped with high illumination and high power 56 pieces ETI LED chips. ---Built-in Intelligent IC driver and aviation aluminum material for best cooling and longer lifespan. ---Working Power: 8.5W, Volts: 12V ~ 24V; Waterproof IP67; Color: 6000K Xenon White ---Powered by Advanced Bright LED Circuitry Technology;Working Voltage: 12V - 24V ---Warranty: fully ONE YEAR guaranteed .please check the AMAZON FITMENT NOTE and owner manual before purchasing. Cross reference number: 2504, PSX24W, 12276, etc. --- [ ] (https://www.ebay.com/itm/Top-quality-US-seller-100-Satisfaction-Tech-support-/183159565973) --- [ ] (https://www.ebay.com/itm/Alla-Lighting-50W-SMD-LED-Fog-Light-Bulb-Driving-Lamp-Replacement-6000K-White-2x-/183291736255) --- [ ] (https://www. 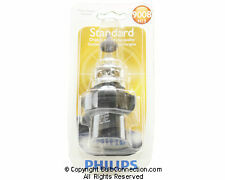 HID Headlamp Type 4300K, White (Global Standard). Color Temp. ---(Set of 2) TWO years warranty: 6000K ~6500K xenon white light led bulb: 8400 lumens(4200 lumens per bulb) without dark spots ---Newest technology Turbine blades -heat sink design for longer life span & further light output area. ---Works underwater! Rainproof driver, housing, and fan works even in extreme situations: Driver and connectors level IP68 ---Lift span: More than 30,000 hrs in 25°C ambient; Mini Design, easy installation and fitment. For most vehicles, just directly plug-n-play, yet for some European vehicles or newest vehicles, it may require to install the load resistors to avoid the error code or blinking. ---Application: Replace the stock HID Headlamp. Cross reference number: D1, D2, D3, D4, D1S, D1R, D3S, D3R, D2R, D2S, D4S, D4R, etc. --- [ ] (https://www.ebay. Item 162937580530 - D3S PK32d-5. Kelvin (Color) - 6000K (White Blue Tint Color). We have all kinds of automotive lighting products such as HID bulb, HID Kit, Halogen bulb, LED bulb, LED Kit, Wiring Harness. 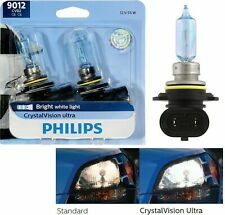 Replaces Osram D3S bulbs. 2015-2017 Dodge Challenger. 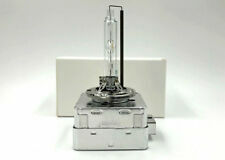 Will fit xenon (HID) headlights of Dodge part #: L0000D3S / L000000D3S. 2015 - 2016 Dodge Challenger. Unsure if it will fit your car?. Replaces Osram D1S bulbs. Will fit xenon (HID) headlights of. Kelvin (Color) - 4800K (White Color). Item 141862743182 - D3S PK32d-5. We have all kinds of automotive lighting products such as HID bulb, HID Kit, Halogen bulb, LED bulb, LED Kit, Wiring Harness. Item 131686506556 - D1S PK32d-2. Kelvin (Color) - 6000K (White Blue Tint Color). We have all kinds of automotive lighting products such as HID bulb, HID Kit, Halogen bulb, LED bulb, LED Kit, Wiring Harness. It is easy to remove and install the new one by yourself without the technician. Fits xenon / hid headlights of and many others. S60 (up to 03/2009). Range Rover. SLK250, SLK350, SLK55. SL350, SL500, SL550, SL600, SL63, SL65. S450, S550, S600, S63, S65. R280, R300, R350, R500, R63. Fits xenon / hid headlights of Dodge part numbers: 04865941AC; 04865941AB; 04865941AA; 25735604; 68055686AA; 68194142AA. Saab part #: 19351942 / 25911883. Replaces Osram D1S bulbs. Will fit xenon (HID) headlights of and many others. Replace Osram D1S Bulbs. Will fit xenon (HID) headlights of and many others makes and models not listed here. S60 (up to 03/2009). Range Rover. SLK250, SLK350, SLK55. SL350, SL500, SL550, SL600, SL63, SL65. We specialize on automotive lighting. International Order - All countries. Improving visibility at night & bad weather. BOX SHOWS SHELF WEAR. HEADLIGHT IS PERFECT.